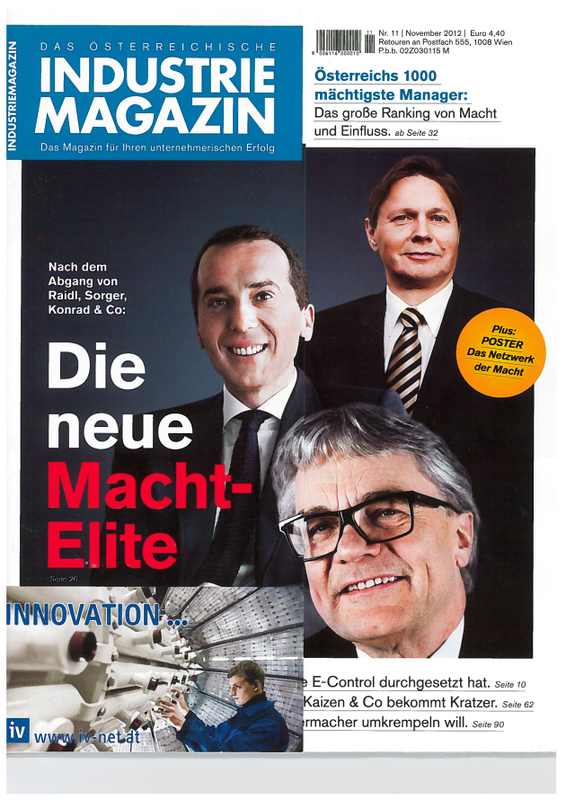 For the eighth time in a row FASresearch has published its ranking of Austria’s top managers within the industrial sector. The editorial board of the Industriemagazin decided to remove all those managers not directly associated with the industrial sector. This means that members of financial organizations, e.g. managers of Raiffeisen, will not show up in the ranking. Download Article KURIER: "Die mächtigsten Manager Österreichs"